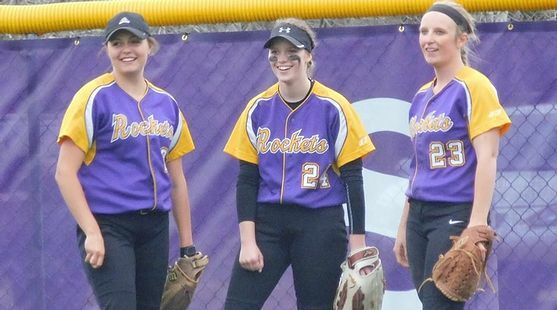 The Rapid River High School softball team swept both ends of a doubleheader Monday from the Munising Mustangs, 7-1 and 18-1, getting a bit of revenge for the upset loss the Rockets suffered to the Mustangs in last year's districts. In the opener, Lexi Trombley was 3-for-3 with two RBI and a pair of runs scored. Natalie Belanger had two hits (including a triple) and drove in two runs. Brittany Schwartz was the winning pitcher for the Rockets. In the nightcap, Trombley crushed a grand slam home run, and Schwartz added a solo shot. Schwartz was the winning pitcher in that game as well.